The most active player in the European airline market is the Persian Gulf carrier Etihad. This airline started taking small equity shares in different airlines and has been increasing its shares little by little so that now it can be considered an important European player in its own right. It is at a disadvantage in that as a non-european company it is limited to 49.9% of the share capital of any European airline but that will not stop it from becoming a major influence. Reported in Airwise/Reuters 22 March 2014. 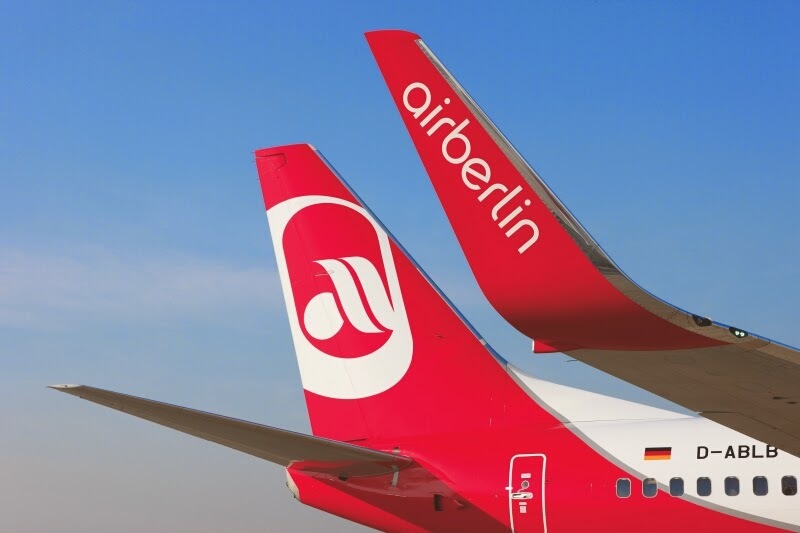 "Air Berlin To Delist, Etihad To Lift Stake - Report"
This article states that Etihad will raise its stake in Air Berlin to 49.9% (the maximum allowed while remaining a German company). However, it also mentions that " Etihad is also in the final phase of due diligence to take an equity stake in Alitalia.....of up to 40 percent". It goes on to assert that " Etihad was looking into ways to combine Air Berlin and Alitalia". As a result Air Berlin would (have to?) leave the oneworld alliance. To which the following is given greater weight. "Air Berlin ‘in talks’ with Air France over codeshare deal"
5 Mar 2014 (Buying Business Travel). 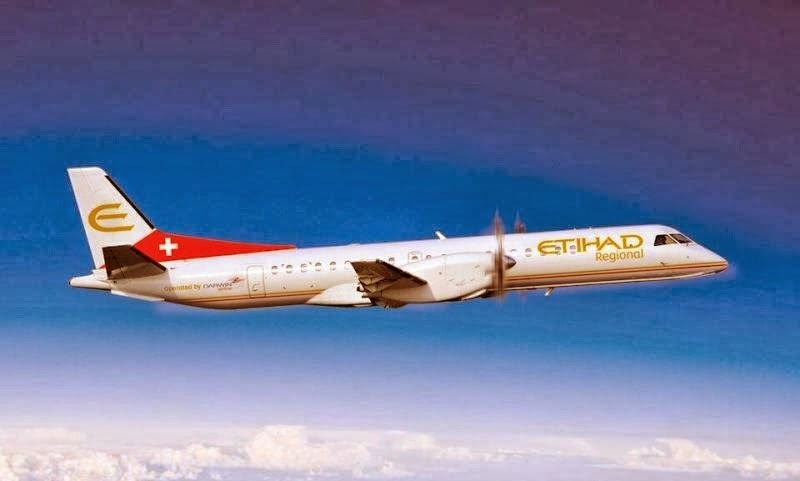 Furthermore, it has been reported ("Etihad to divide Air Berlin in two?" Business Traveller, 20 March 2014) that Etihad wants to divide Air Berlin "into two separate divisions." "One division would handle the tourism business, which includes flights within Europe, while the other would concentrate solely on feeder routes to Etihad's hub at Abu Dhabi. It is unclear whether or not the "tourism business" would cover Air Berlin's transatlantic flights." This could well be a condition of Etihad for investing more captital in Air Berlin. This fits in with the formation of Etihad Regional (from the Swiss airline Darwin last November)as a feeder airline to its parent´s European destinations, the equity stake in Air Serbia and the codeshares, just announced, with Air Baltic. "Etihad and Air Baltic expand codeshare"
Add to this that Etihad has upped its stake to 4.11% in Aer Lingus, then you can see how the Persian Gulf airline is extending itself across Europe. When Ryanair is forced to sell its 30% stake in Aer Lingus who will be the purchaser, Etihad? "Ryanair's Aer Lingus Stake Appeal Dismissed"
The Irish government still wants to sell its 25% shareholding in Aer Lingus. Etihad cannot buy both stakes as they would breach the limit of 49.9% shareholding. However, Ryanair could maintain 5%, as the British government has suggested, and/or the Irish government might wish to retain a smaller shareholding one way or another. The strategic view of Etihad is admirable - more than other groups - but what does it want to do eventually? Will it just maintain its Equity Alliance with some codeshares, or will it join Skyteam? That is to be seen. There is a battle going on in Skyteam to gain influence. Air France/KLM are major players but have their hands full trying to sort out their own businesses with the formation of HOP and the definition of Transavia. Outside Europe a lot is happening (e.g. Brazil) but that does not take away the importance of what is happening in the old continent. It should be pointed out that Delta has just invested in Virgin Atlantic (it has taken the 49% shareholding previously held by Singapore Airlines`[Star Alliance]). They have coordinated schedules to the USA from London Heathrow and are becoming a serious threat to BA. The domestic feed to these flights is run by Little Red (which is contracted from Aer Lingus) so you can see how all these things begin to mesh. 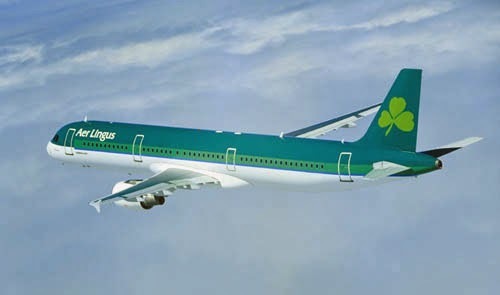 Add to that Aer Lingus´ own Irish services into Heathrow and the picture becomes clearer. Since this blog is directed towards transport issues in the UK (and the rest of the British Isles) you might still be asking how this affects us. In fact, a lot! - as a passenger (benefiting from a greater number of alternatives), as an airport owner (loss of business meaning downgrading the interest in connections) and as the government (loss of taxes). Etihad itself only flies into Dublin, London and Manchester (not taking into account the rest of Europe). However, with its Equity Alliance and Skyteam partners there are another 18 destinations connected to Etihad flights(especially Amsterdam) and other Skyteam members from the British Isles. That in itself is a lot of feed. Of course, we do not refer to other connections within Europe. The connections into London, Manchester and Dublin make onward transatlantic traffic possible with Virgin Atlantic, Delta and Aer Lingus, especially for those Asian passengers e.g. from India, who seek to cross the pond. Virgin Atlantic seems to be more and more subservient to the interests of Delta and thus could well join Skyteam. The alternative of Star Alliance is more difficult. Lufthansa already has its hands full trying to adjust its accounts to profit with the members of its own group (Lufthansa, Swiss, Austrian and Brussels Airlines). The other European members of Star Alliance are also having a difficult time with TAP, LOT and SAS (together with the others) looking to adjust their accounts so that they can be profitable. Adria, Aegean and Croatia Airlines are of less importance. Oneworld in Europe means IAG (British Airways, Iberia and Vueling) with Finnair as a bit player. This means that the alliance is on the fringes of Europe and heavily disadvantaged as a result. IAG has to consolidate its position in Europe, where it is weak (and will be more so with the loss of Air Berlin), to face the challenges of Star and Skyteam. What will it do? As this blogger has suggested previously there are two countries where oneworld and/or IAG might gain a foothold. One is Poland which is ever more important if Air Berlin leaves oneworld. The Polish government wants to turn around its loss making carrier - LOT - and sell it, thus making it a possibility for purchase. Poland is the sixth most populous member of the European Union at about 39 million which is a little smaller than Spain. The potential for development is tremendous. The other alternative is Italy at 60 million which makes it the fifth most populous country in the European Union. Here the most important airline which could be available is Meridiana, but it is also loss making. IAG might already have disregarded this possibility as it has its Vueling subsidiary establishing a substantial base in Rome. Apart from this IAG has a franchisee in SunAir of Denmark which flies under BA´s livery.It is not particularly proactive and is achieving only modest growth so does not serve BA very extensively. The other airline in which IAG has an interest is Flybe and its joint operation with Finnair, FlybeNordic. IAG´s shareholding is a modest 15%. However, if IAG decided to be more agressive then Flybe could be a useful vehicle for Scandanavia, the Baltic countries, the British Isles and even NorthWest Europe. As an afterthought, BA does also have an airline called Open Skies (merged into L´Avion) operating from Paris Orly to New York´s JFK and Newark - not much to show for an airline launched in June 2008. An outside possibility for IAG is for it to take an interest in the "low cost" Norwegian. Finnair formerly had a shareholding in this airline. However, it is becoming more and more agressive with the setting up of bases outside Scandanavia, in the UK and Spain. The business model is similar to IAG´s Vueling and both are complementary. Norwegian not only runs long-distance leisure routes within Europe but is also starting long-haul routes to Bangkok and the USA. These mirror Vueling´s long distance routes to Banjul, Dakar(in West Africa) and soon to be started Damman (Saudi Arabia). However, the biggest airline on the block is CityJet. This wholly owned subsidiary of Air France/KLM is considered not to fit into the reconfigured group. It is based in Dublin but with a Belgian subsidiary (VLM) at Antwerp, though it operates only under the CityJet name and livery. Its biggest asset is the high number(on a par with BA CityFlyer) of slots at the constrained London City Airport. AF/KLM will maintain some codeshare flights with the airline but the idea is to sell it. The likely buyer who has already made a firm offer is Hans Rudolf Wöhrl through his company Intro Aviation. He wants to merge it with his (very small) airline InterSky to create a regional force in central Europe. It should be pointed out that Herr Wöhrl ´s company was the vehicle to buy Deutsche BA (later Dba) and LTU which were turned round and sold to Air Berlin. This blogger comes to the conclusion that the idea of Intro Aviation is to eventually sell the merged business just as the previous ones were sold on. The question then is who is willing to buy and who benefits from such a purchase? The agreements with AirFrance, apparently, will remain in place but CityJet will use its own flight numbers. Thus the feed into Skyteam will stay. However, Air France is selling the business so who will buy it? 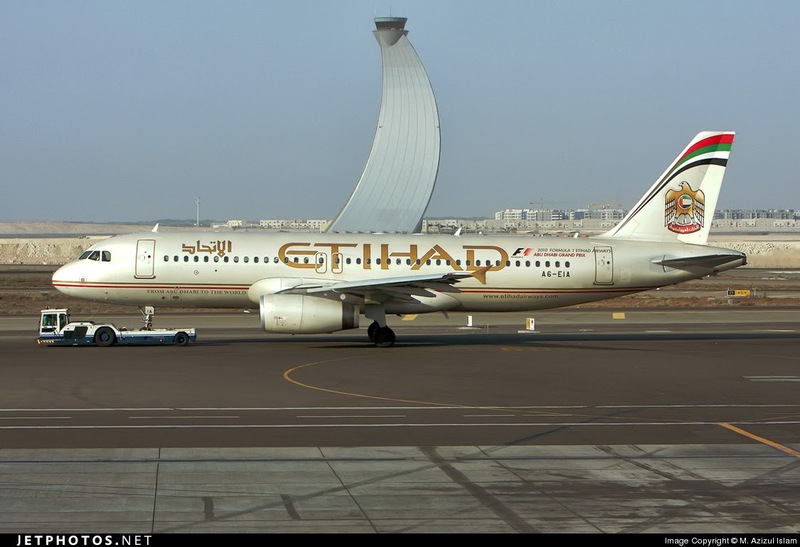 Everything points to Etihad Regional with whom it fits like a glove and extends Etihad Regional´s reach dramatically. Movement on consolidation is well under way. How is it going to progress?. Time will tell. NB: To this is added the news today that Etihad takes a 49.9% share of Air Serbia.